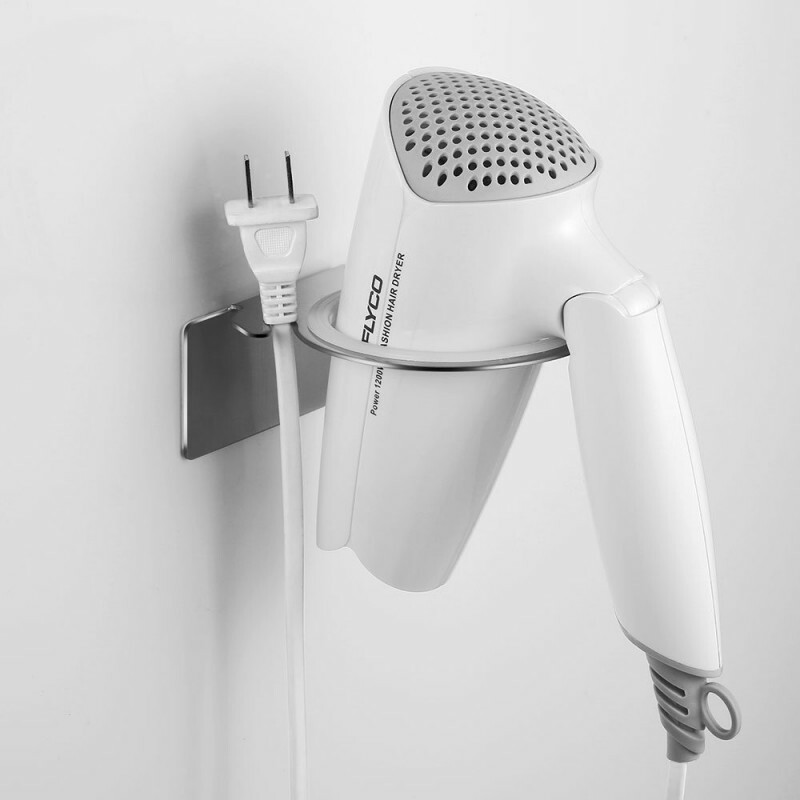 Keep your hair dryer in its place and organized. 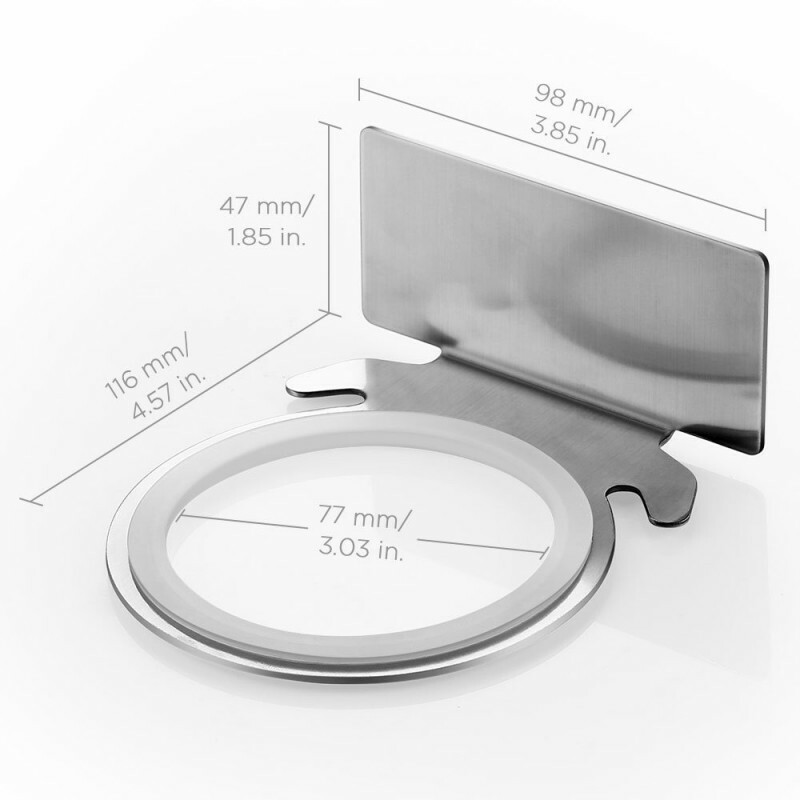 Adopting premium stainless steel, the holder stands the daily wear and tear, especially in humid bathrooms. 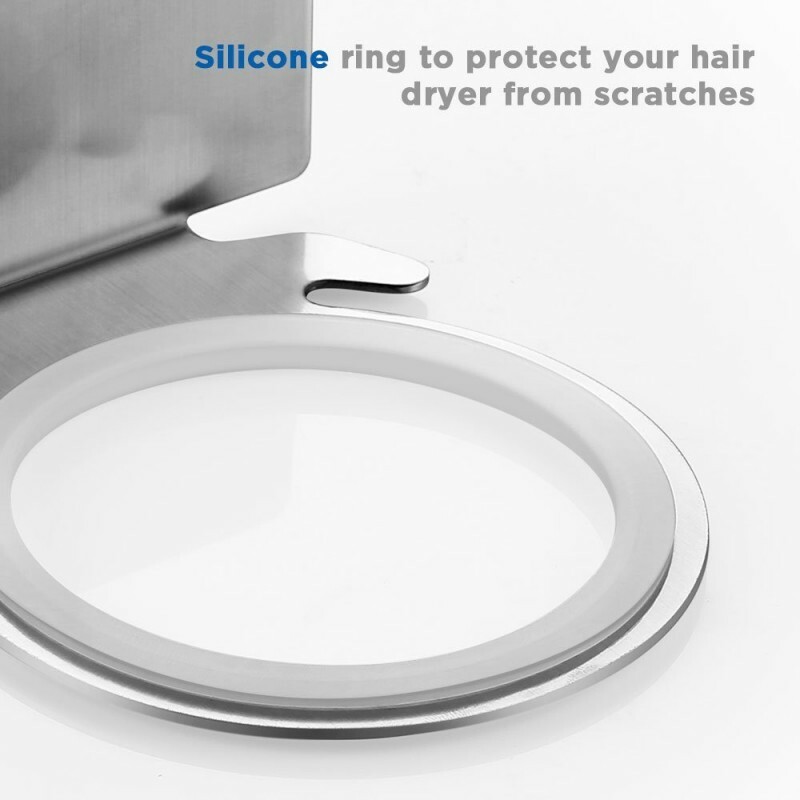 While the silicone ring helps to prevent your hair dryer from scratching. 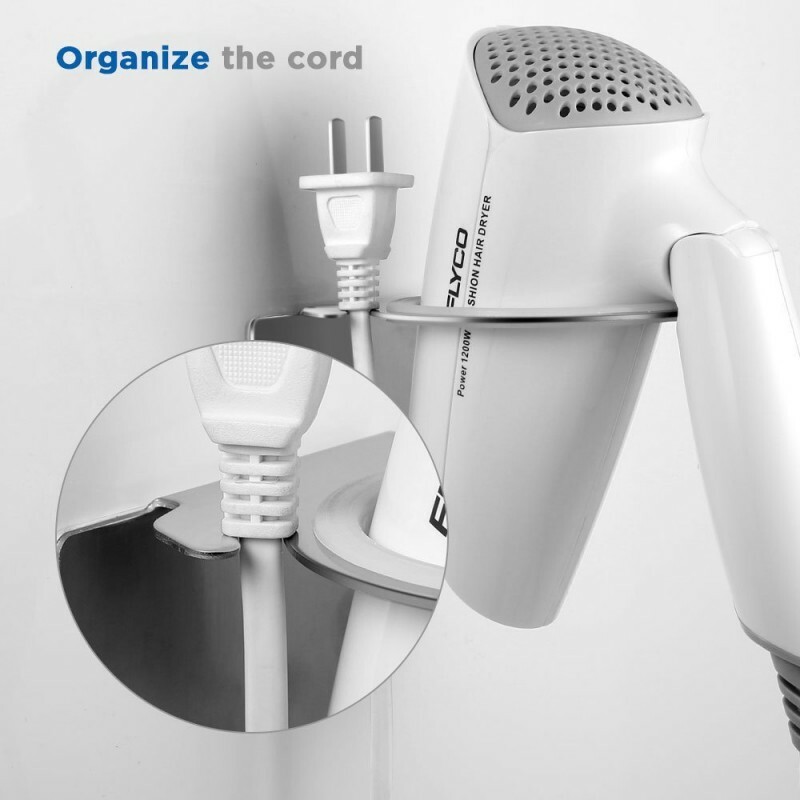 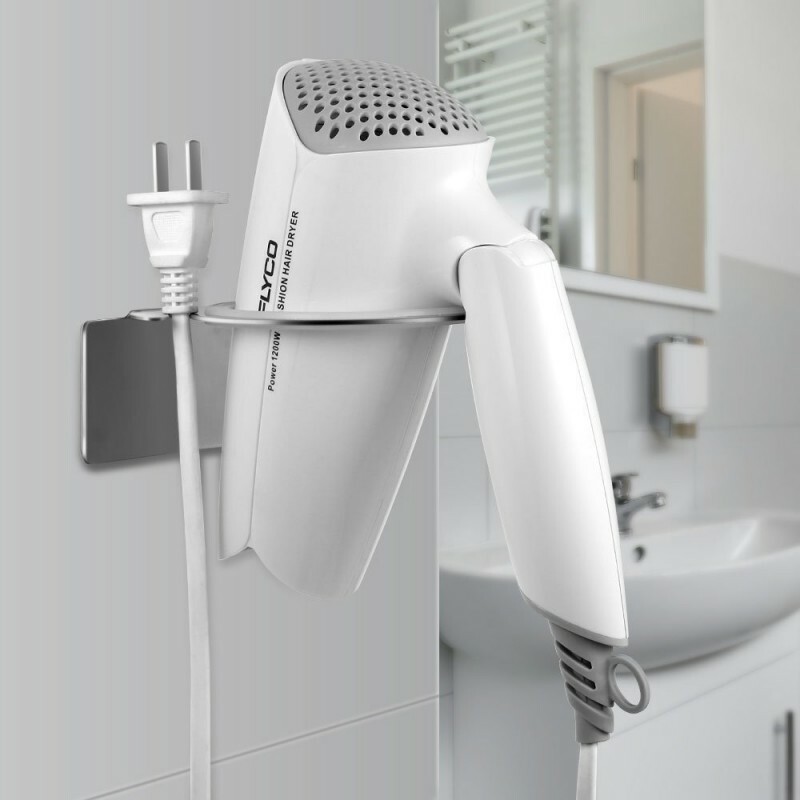 With the specially crafted cutouts, the holder is not only for your hair dryer, but also helps to collect your plug and cables, giving you a clean storage. 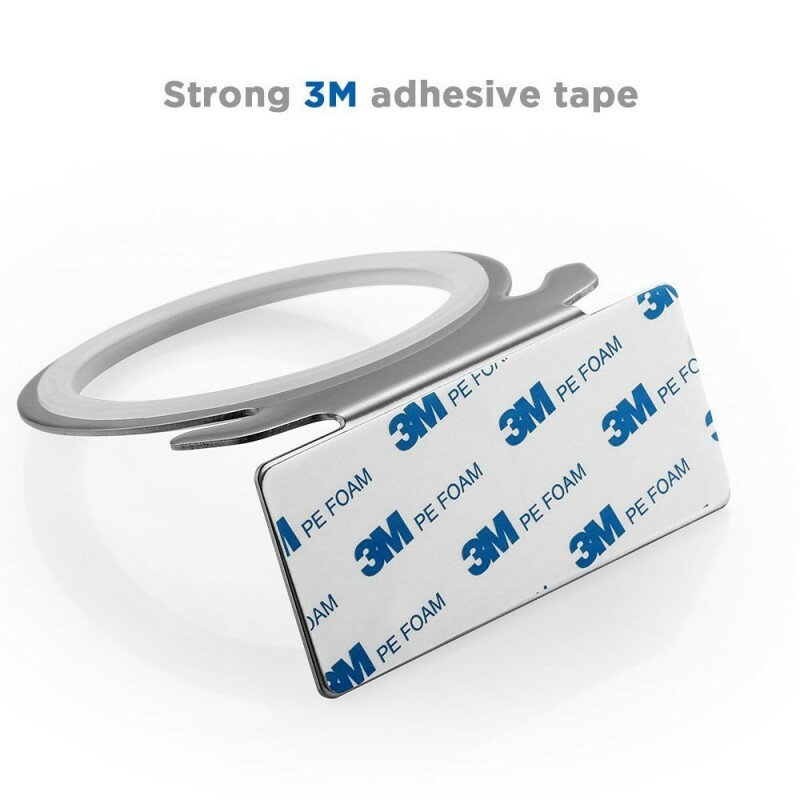 Strong 3M adhesive tape promises a longlasting use on most flat walls. Just peel, stick and wait 24 hours, the holder is ready for use.